There are quite a number of people who feel they are at their best when they are around their friends or partners. 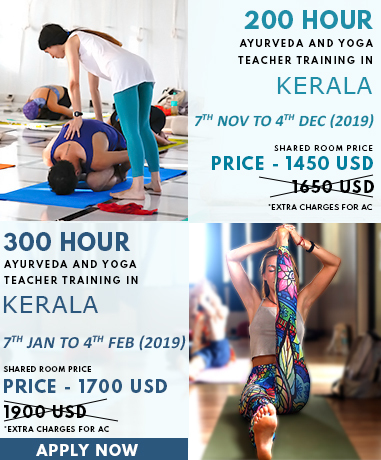 Similarly, there are a number of yoga practitioners who prefer sharing yoga mat with kindred spirits because of high motivational factor and ease of practicing the science of yoga. Among the conventional benefits of yoga poses, there are added benefits of group yoga poses like an increase in the stretch and intensity of yoga posture because of the other partner, better balance when holding the asanas and an enhanced relationship between the two. Given below are the five group yoga positions that you can try with your partner. Follow the instructions for correct practices. 1. Tree Pose (Vrksasana): The tree pose stretches the thighs, groins and shoulders. It builds strength in ankles and calves. The stretch and strength in tree pose can be maximized by performing it in a group. ● Stand tall on a yoga mat with your partner next to you in the same position. ● Transfer the body weight to the left leg and breathe. ● Now, raise the right foot off the floor and bend the knee. ● Place the right foot on the inner edge of the left thigh. ● Both you and your partner should be balanced in the position on one leg. ● Wrap one arm around your partner’s waist and let him/ her do the same. ● Bring your one hand in front and your partner will do the same. Join the palms together. ● With you and your partner’s hands joined, you become steadier in the pose. ● Take deep breaths and stay in the pose for 30 seconds. 2. Forward Bend Pose (Uttanasana): The pose strengthens the knees, makes spine supple, activates abdominal muscles and is therapeutic for sinusitis. It is one of the best yoga poses in group practices. ● Stand with your friend in the way that your back is against his back. ● Widen your legs shoulder-width apart. ● Bend forward at the hips and keep the spine straight. ● Reach for your partner’s arm through the legs. Deepen the stretch by grabbing your partner’s elbows. ● Beginner level practitioners can simply extend their arms and can clasp their hands around the partner’s waist. 3. Boat Pose (Navasana): Along with tons of physical benefits, the pose activates the root and sacral chakra thus granting the spiritual benefits. ● Sit on a yoga mat with your partner in front of you. ● Bend the knees and set the feet firmly on the ground. ● Balance on your sitting bones and get comfortable in the position. ● Extend the arms in front and grasp each other’s outer side of the knees. ● Make sure the grasp is firm and strong. ● Lift the leg up in a manner such that your sole touches the sole of your partner. ● Simultaneously, stretch the legs up. Do the same with the other leg as well. 4. Seated Forward Bend (Paschimottanasana): The forward fold pose contributes towards improved digestion, higher energy levels, mental calmness and regulated blood pressure. When practiced as the group yoga positions, the pose is equally beneficial. ● In this pose, make your partner sit in front of you. ● Stretch the legs out and keep them completely unbent. ● Place the feet besides the ankles of your partner’s leg. ● Hold your partner’s forearms or elbows. ● Bend forward keeping the spine straight. ● Let your partner pull your arms towards her/him for deepening the stretch. ● Repeat the same movement with your partner, as he/she bends forward. 5. Bound Angle Pose (Baddha Konasana): It is one of the best group yoga poses to open the hip muscles and to stretch the inner thighs. ● Sit on the floor with a straight back. ● Bend the knees, bring the feet closer to the pelvic bone and touch the soles together. ● Clasp your hands around the feet. ● Allow your partner to lean against you, with their back touching yours. ● As they lean, let them push your legs lower to the ground and knees closer to the surface. ● Guide your partner on the intensity of the push, so that your knees are not hurt. Actively practice group yoga poses for double engagement, fun, and benefits.